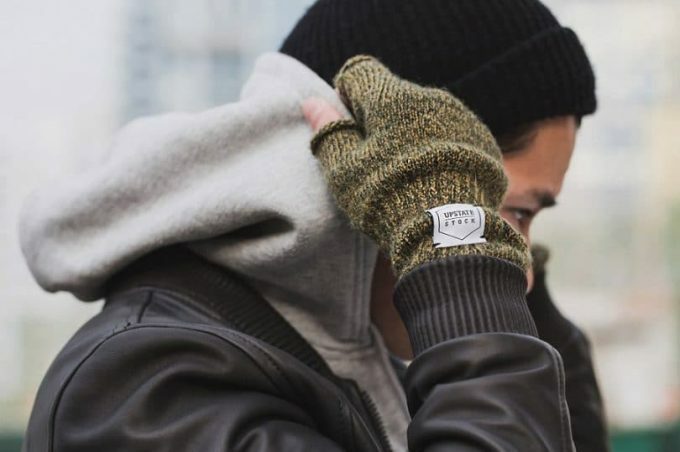 The unbearable harsh temperatures of winter prompt us to wear warm and full-fingered gloves. However, the downside of such gloves is sweaty hands, especially in materials that don’t allow your skin to breathe. So, the best alternative in this case, is represented by fingerless gloves which are now popular among many outdoor activists who take pleasure in aid climbing, abseiling, hiking, snowboarding, fishing, camping, mountaineering, and many other outdoor activities. As a result of this popularity, there are remarkably many such products on the market. Some people even buy the conventional gloves and cut them at the knuckle length, but it’s not quite the same thing. So, if you’re interested in the real thing, and want to find the best fingerless gloves on the market, take a look at the reviews below. It can be confusing, especially as a first-time buyer, to pick the best gloves if you do not know what to look for. These gloves come in a wide range of weights, designs, sizes and other features such as waterproof and windproof. Some gloves are thick while others are thin – the thicker the glove the warmer it is, but it could be heavy as well. As an outdoor person, you wouldn’t want something heavy on your hands as it could hinder your activity or grip. Having said that, you need to be careful when choosing such gloves, and consider the features mentioned below. The size is important in order to have a proper fit when putting on the gloves. A small pair of fingerless gloves could restrict the mobility of your fingers, and thus inconvenience you from executing any task. Small gloves to your hands compromise dexterity. It is, therefore, important that you check the size carefully prior to making a purchase. The air circulation can also be compromised if the gloves are small, particularly if there are no vents or breathable membranes. On the other side, a large pair of fingerless gloves also spells disaster. It compromises your comfort, and the wrist enclosure might be too loose. The fingers enclosures can also be loose and this means no heat for your hands. As you can see, it is important to take into account the right size for best and proper fit. If your knuckles are comfortable, so will be your fingers. This comfort is determined by the type of material used in designing the gloves. The goat skin, for example, is soft and offers a great comfort to your knuckles so that you can freely bend them. That’s why, the products we reviewed, are supple enough in the knuckle area to help with mobility. Some design materials such as nylon, are naturally supple and they assure greater mobility and comfort at the knuckles. So, you should refrain from the hardest and stiffest cheap leather because it will not be good for your knuckles. Airflow is important for your palms, more especially when your palms have a tendency of over-sweating. The lack of airflow will result in too much sweat and uncomfortable heat. 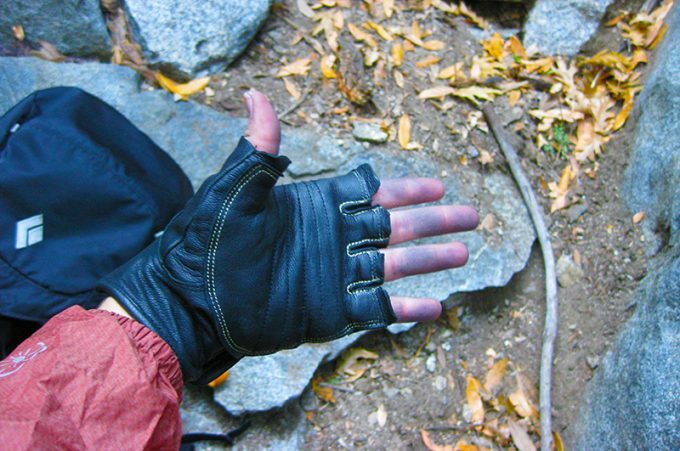 To avoid this, some fingerless gloves feature perforated leather to allow evaporation of sweat while others allow the circulation of air through the fingers enclosures. The main purpose of wearing these gloves in winter is warmth. As a result, many come with different layers that include a soft fleece, but the most popular type of material used for extra warmth is made out of soft goatskin leather. Other notably warm materials include polyester and polyurethane. The warmth is also enhanced by a secure closure at the wrist, which is why some fingerless gloves use Velcro for a secure wrist closure. You should avoid cheap leather materials that are notorious for being hard and stiff as they won’t keep you warm during the cold days. The weight of the gloves is also an important consideration when buying such products. Some gloves are made thin while others are thick, but the actual weight is determined by the materials used. Outdoor activities require some lightweight, fingerless gloves. To help you out, we also included the weight with each glove reviewed hereunder. One of the foremost important considerations is durability. But note that durability is reinforced by the type of material used. Low-quality leather wears out due to repeated use, especially if you do intensive activities such as abseiling and aid climbing. Fingerless gloves come at different prices from only $5 to over $100 depending on the fabric, durability and quality. Those made out of goat skin are a bit pricier, but according to feedbacks of people who bought goatskin made gloves, it’s worth every penny. Now that you know what to look for in a fingerless glove, let’s review them and then decide based on the features given. We have also provided the link which you can click to direct you to make a purchase. Description: For anyone dying to have warm gloves that are well insulated and light in weight, Men’s 3M Fingerless Gloves is a must-have. It gives you the freedom to do anything with your fingers without having to remove the glove. You can zip off your winter jacket or your gear with your freely mobile fingers because of the knuckle length of these gloves. 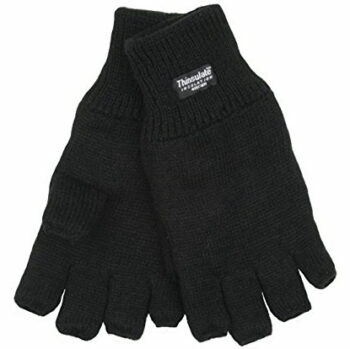 To keep you warm in inclement temperatures, these gloves are thermally insulated, with 3M Thinsulate. This thermal insulation is engineered to make sure that your warmth is not compromised. Almost any outdoor activity that needs your bare hands can be executed while wearing these gloves. From aided climbing to belaying, and from abseiling to snowboarding, these gloves are suitable. They are thin to eliminate the bulkiness and you get to choose between an extra large or large size. The downside of these gloves, as also experienced by other customers, is durability. They reported the tearing off of the seam for multiple uses. They are not made of leather so it is understandable that the seam may tear off easily. Nonetheless, for light diverse applications, the gloves perform well, more especially taking into account the intended use of getting warm. Related: For those who are looking for regular full finger gloves, this manufacturer also offers a great deal for the Mens Adult Winter Black Beanie and Gloves set for just a bit higher price. Description: Metolius Climbing Gloves are made of leather to reinforce their durability. The leather is soft and comfortable at the finger knuckles with double-stitched finger openings. The body of the gloves is made of cowhide material and is also triple-stitched to strengthen it. You can use them for any outdoor activity that include constructions, climbing or hiking. They allow you to do anything with your exposed fingers, thus avoiding the need to take off the gloves. The apparent downside is that the leather, might be tough at first wear. It might leave your hands itching when you first wear. This is the experience of other customers. However, the leather can successfully stretch for repeated uses. That being said, do not over stress or buy a large size because the leather will adjust with your hands the more you wear it, perhaps after a few days of wearing them. To prevent premature wearing out of the gloves, all wear areas are reinforced. Wrist enclosed with Embossed logo. Related: Metolius also offers a Full-Fingered Version of the Climbing Glove which might offer a better insulation for colder climate, but they lack the grip the fingerless version offers. These gloves can be bought in black and natural skin color and as with the fingerless model, the price is quite affordable. 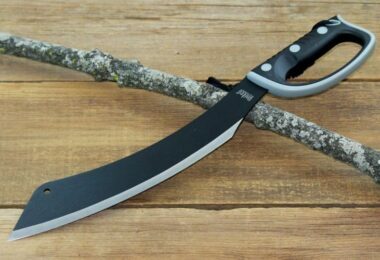 Specific features: Medium size in inches 7 to 8.5, large size in inches 8.5 to 9, extra large in inches 9 to 10, available in black color as well, low-profile nylon loop used in design, lean ergonomic cut, pre-curved design for enhanced dexterity and minimum bulkiness, top-notch quality finish on the leather, molded foam protects the back of your hands. Description: Made of nylon, Outdoor Sports Fingerless Gloves assure you a great mobility and dexterity in every outdoor task you intend to do. Their carefully crafted and pre-curved design ensures that bulkiness is eliminated. 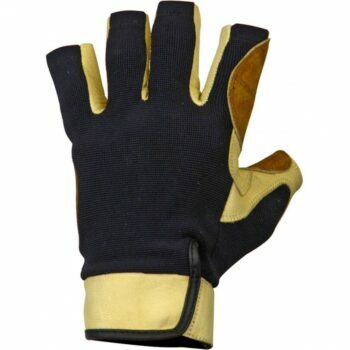 No hand task will compel you to remove the gloves because they are made of a supple and top-notch quality leathers to ensure optimal performance. Many previous users praise the versatility and mobility of these fingerless gloves in their climbing adventures. 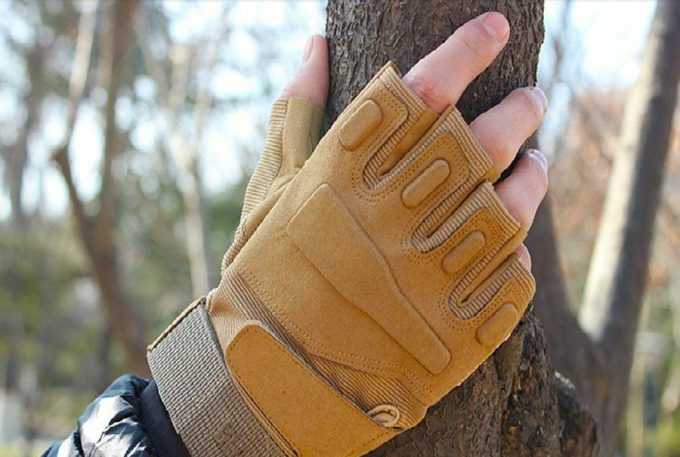 Almost any outdoor activity can be accomplished while you are provided with an unmatched warmth, and yet, maintaining the much needed grip that fingerless gloves offer. Furthermore, thanks to their molded foam, the back of your hands will be protected, and they are much more comfortable. All in all, with such a price to quality/durability/ and ergonomic design, these gloves are too good to be missed and you should definitely check them out. Related: If you found the best fingerless gloves that suit your needs we suggest you consider buying this Tactical Desert Shemagh Arab Keffiyeh Neck Scarf to match your gloves. It’s made out of cotton and comes in three different colors – Black/White, Dark white/Black and Military Green. Description: Crafted with natural goat leather, these Black Diamond Stone Climbing Gloves embrace a combination of dexterity, mobility, and durability. They are is made of various layers of the goat skin, which makes it supple, comfortable, and even gentle on your skin, and not too many gloves models can brag with this. You are assured to complete any task comfortably during the winter with these gloves, because they are amazingly warm, while allowing a greater circulation of air into your palm. You can freely bend your knuckles because of the soft material used. The gloves are made to excel with the exception of their price, which proves to be the downside so far. They charge over $20 compared to other gloves on the market. Nonetheless, their quality proves to be worth the price, for outdoor enthusiasts wanting the best. With just 2.8 pounds of weight, these are the most preferable, lighter gloves you can embrace. 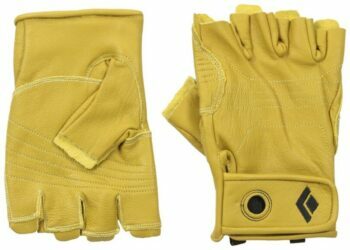 Related: In case the goat skin sounds a bit rough for your skin and you are looking for a softer version of these gloves, you can check out this manufacturer’s Crag Half-Finger Climbing Gloves, which are made of nylon and are much softer. They also come in different color combinations. Description: Need warmth fingerless gloves for your fishing or climbing adventures? The Glacier Gloves could be just the pair you have been hunting for. They are affordable, with just $10 you can get your pair delivered to your doorstep. The gloves are available in small, medium, large and extra large sizes so pretty much everyone is covered. 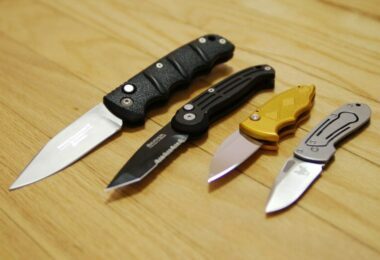 However, regardless of the size you choose, they will still feel thin and not bulky, while maintaining your hands warm. Also, everyone who ever tried them claims that they are not constricting around the wrist, yet, still tight enough to keep the unwanted elements out and we all know how frustrating little rocks or dirt can be, especially if you have to take them off during your activity, just because of that. Furthermore, for those who plan on climbing in the winter, you should know that these hand gloves, will provide you with a better grip, thanks to their reinforced polyurethane material, used in their construction. 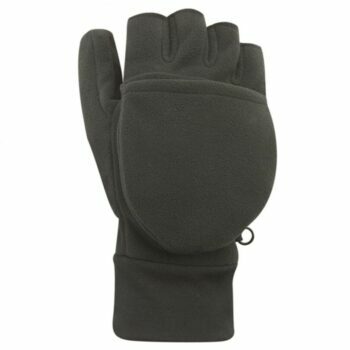 Related: The same brand offers another Glacier Glove Alaska River Fleece Fingerless Fishing Gloves which are a bit pricier (from $11 to $20) but are made out of Neoprene material and have G-Tek 2mm Fleece lined Neoprene Palm. Specific features: Shell is made of 100% polyester, palm made of 100% Pakistan goat skin, polarity windblock-ACT, has a magnetic closure to convert the mitten to ¾ fingerless glove. Description: Black Diamond Wind Weight Gloves are versatile in that they can be convertible, to fully-fingered, if such a need ever arises. There is also a magnetic closure that helps the mitt to simply flip back and get out of your way, when you need them to be fingerless. Pretty convenient. Furthermore, there are proven to be wind-proof and warm due to their soft exterior and interior fleece. Two things are sure, mobility and dexterity are assured with these gloves. Also, the Black Diamond gloves are amongst the lightweight gloves on the market, which makes them quite appealing to all sorts of travelers, as we know that outdoor enthusiasts are allergic to heavy-weight, bulky products. With just 4 ounces of weight, these are made to be conveniently light and don’t take much space in your backpack if you decide to store them away if they are not needed. Related: Except for these Wind Weight Gloves, Black Diamond doesn’t offer any other fingerless gloves that have same or similar characteristics, except the Gloves for Stone Climbing that we reviewed above, but are much cheaper and meant for use only during warm weather. 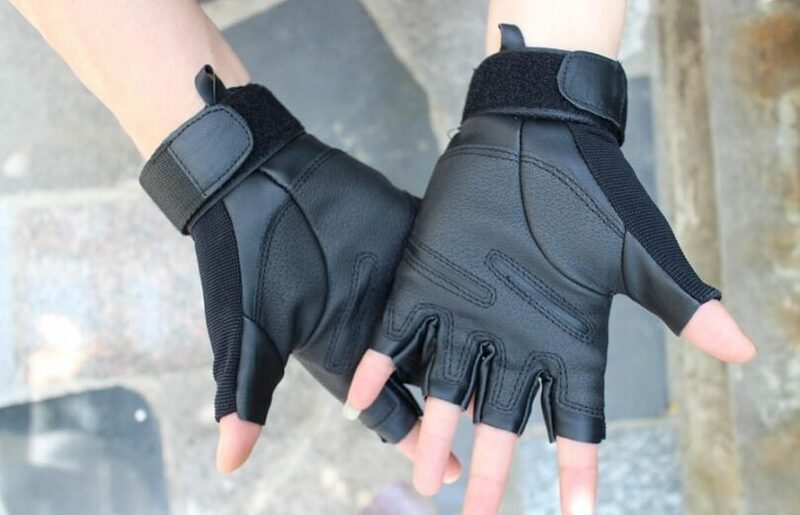 Before purchasing the fingerless gloves, check the reviews of the customers to see some of the cons experienced individually. Perhaps that can play a part in your decision-making. Reaffirm the exact features in line with your needs prior to your purchase. 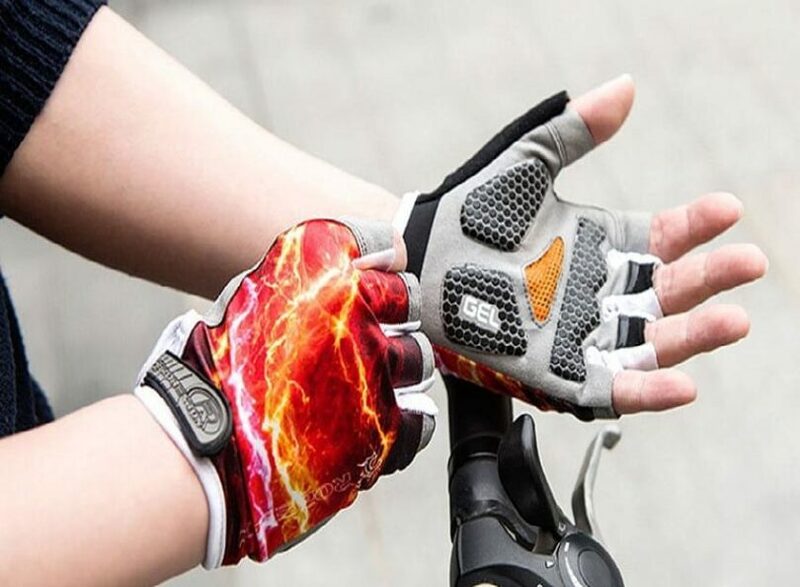 These gloves can be used considerably in driving motorcycles, whether in summer or winter. They are supple and have a better grip when driving. The only downside of this usage could be the exposed fingers should you fall to the ground. The finger will get hurt unless the glove is convertible, such as the Black Diamond Wind Weight Mitt Cold Weather Gloves as reviewed above. The bottom line is that your palm will be protected. They can also be used in your office when it feels chilly in winter. This will help you to type well on your laptop or swipe your smartphone screen. These gloves offer diversity in applications. Either indoor or outdoor, they can fit well. The call is yours. As long as you purchase the right gloves, then you will enticingly enjoy your outdoor expedition and its activities. We have detailed the important features of the gloves in helping you make the right decision with your purchase. These aforementioned gloves vary with prices and other features such as design-material, weight and size. Amongst other features, the size of the gloves plays an important role in decision making. Please note that leather gloves do stretch, and that requires a small size so that as times go on, they can adjust to your size. If you think that we left out anything crucially important in our reviews? Let us know in the comments section below, we would be happy to know what you think.